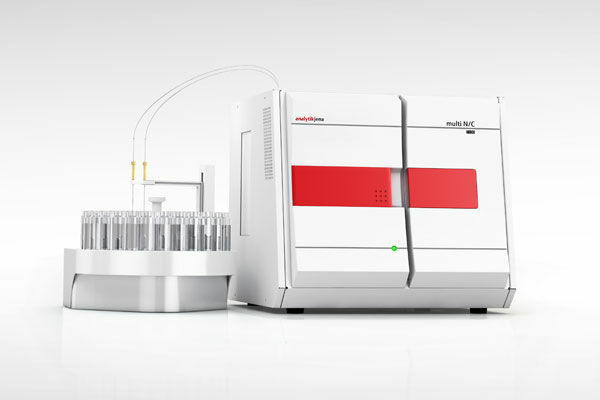 The Multi N/C® 3100 model, manufactured by Analytik Jena, is a total organic carbon (TOC) and total nitrogen (TN) analyzer specifically designed for all fluid samples. This device is integrated with catalytic high-temperature combustion, VITA®, the Focus Radiation NDIR detector, and flow injection with intelligent rinsing system for particle-containing samples. Moreover, its catalyst promotes high temperature combustion of 950 °C and has multipoint calibration with one standard using various injection volumes. This tool can generate through its high sensitivity drop to the minimized ppb range and can operate with one catalyst for simultaneous TOC/TNb determination in the whole measurement range . The sample feed by flow injection with rinsing technique is designed to avoid carry-over efficiently and it is optionally available with autosamplers of several capacity.